SGS Certified Military Drop Protection: Tested to provide outstanding defense with SGS certified military drop protection. 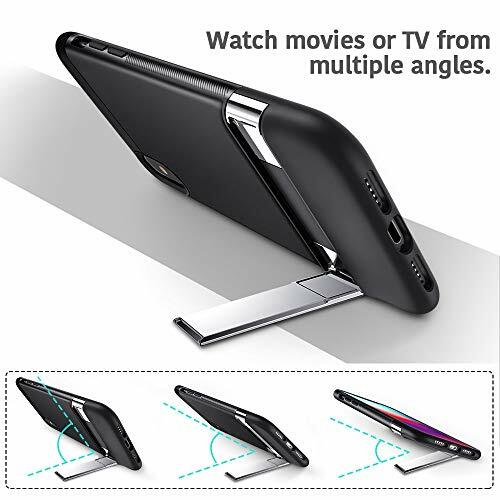 Multiple-Angle Support: Watch movies or TV from multiple angles and the sturdy metal kickstand. Screen and Camera Protection: Raised edge around screen and camera lens helps protect against scratches. Supports Wireless Charging: No need to remove the case when using wireless charging. 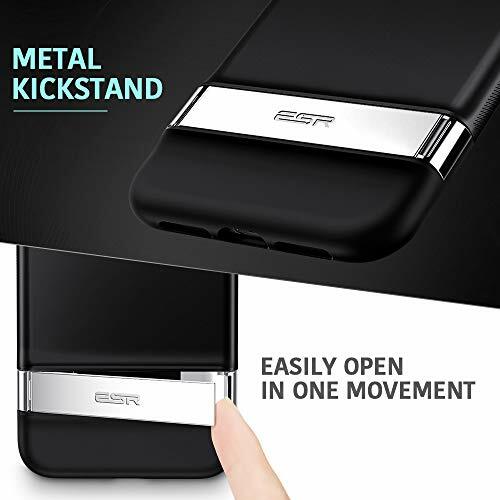 The first of its kind, ESR’s Metal Kickstand Case distinguishes itself from competitors with both vertical and horizontal stand modes and multi-angle support, providing an incredible viewing experience. 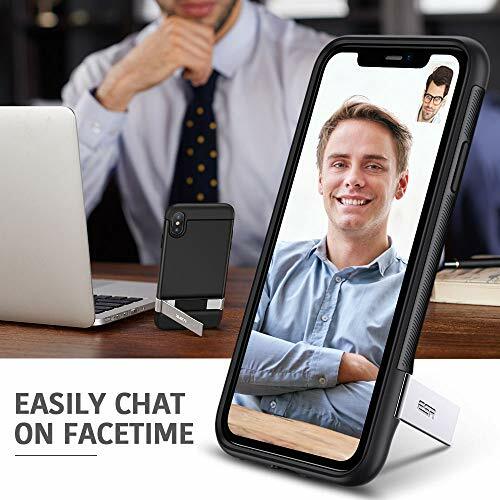 A sturdy metal kickstand allows you to watch videos or make facetime calls with ease. Made with premium materials and a dual-layer structure, this case provides SGS certified military-grade drop protection. There’s no need to remove the case when wireless charging. The delivery was exactly as promised!Overall, I like the case a lot but let me elaborate on things that could be better: I like the sturdiness of the case, and the kickstand is working fine so far, I wish the material was more transparent (clearer), as it is, it hides the beautiful finish built into this iPhone, my wife’s iPhone is of the RED (Product) version which has a beautiful shiny red finish, however, that finish gets completely overshadow buy the texture/whitish (almost milky) color of the material of the case, but that is definitely something we can live with. In our experience so far, this product is of good quality. Stand was starting to flap open all the time and eventually broke off.While the kickstand did break the seller did stand behind their product and sent a free replacement. Clear case with a stand! I can use it vertically and horizontally and it still maintains the beauty of my iPhone. Best kickstand. Wireless compatibility, lightweight, horizontal or vertical stability, and a great price.